The new sunglasses styles are finally here !! Some people might not know that Autumn is one of the best times to buy a new pair of sunglasses, all the new styles are released and there’s always loads of choice. 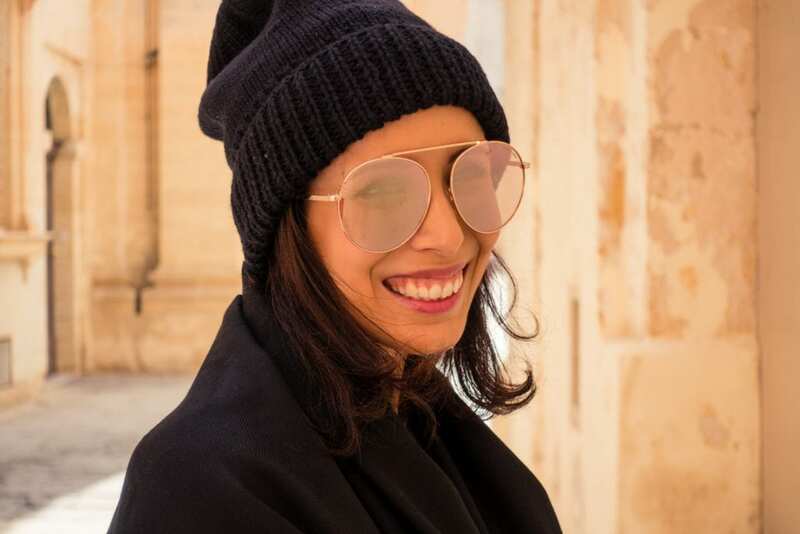 For this post, I am collaborating with my favourite multi-brand store in Malta – O’hea Opticians. For Part 1 of this lookbook series, I’ve picked 4 wireframe styles, 3 of which also have reflective lenses. Reflective lenses have been trending for the last few years and show no signs of slowing down. Of course, it does mean that capturing photos is a bit of a pain since the photographer constantly gets mirrored in the lenses – #bloggerissues. The first pair is a pair of aviators by the exquisite Tom Ford – ERIN. The metal frame is a lovely golden shade which matches the flashy golden tinge of the lens. They’re slightly oversized which gives them an interesting edge but they’re also a really easy pair to combine with practically any outfit. Wear with jeans, with a dress, with a hat, with your hair down, with your hair up – any way you want. The next pair is by Dior – DIORSTELLAIRE1. Dior always make shades that are slightly different from the norm. This oversized pair with the large, flat, square lenses is no exception. 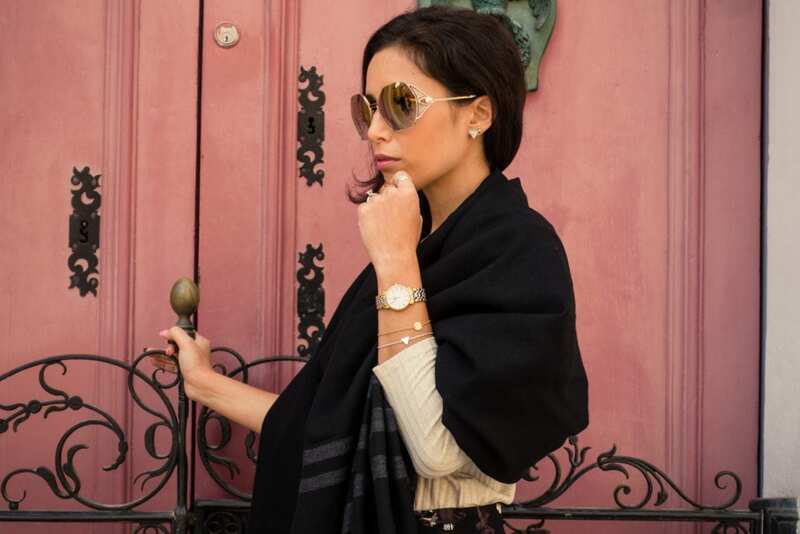 The metal frame is very thin and lightweight which makes them really comfortable and allows the pink-gold mirrored lenses to shine and garner all the attention. Wear when you’re feeling powerful or you need a dose of extra confidence. These would also look really good with hair up and a power suit but work well with the contrast of a highly feminine outfit. This Made in Italy pair is by Roberto Cavalli and epitomises the extravagant glamour that the brand is so synonymous with. The hexagonal shape is rather unusual and in itself captures attention. I also love the side view – a stone set in the metal structure with the logo engraved inside. Wear with something that makes you feel like a million dollars. The last pair is again by Tom Ford. I would say these are probably the most conservative of the bunch. They’ve still got loads of style – the circular lenses, the fact that the lens colour tinge is a mix of blue and pink and my favourite part – the curved metal frame. However, the lenses are not reflective which I know is something preferred by those who prefer less flashy items and in general, they’re just more subdued, less in your face. They’re still very elegant and I feel they really work at enhancing your looks rather than being the focal point. That’s it folks – Part 2 will be here soon! All styles available from O’hea Opticians in Gzira, Malta.